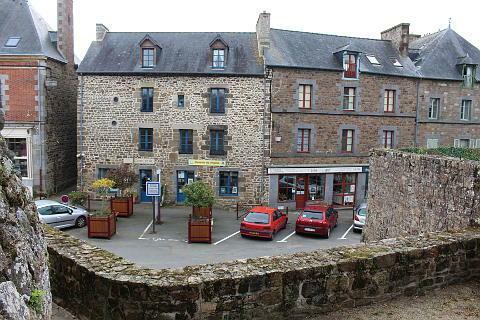 Becherel is known as the "Village of Books" as it has 15 or so bookstores located in the village. It also has a monthly book market. As well as books it is a picturesque village perched above the surrounding countryside and with some pretty views. 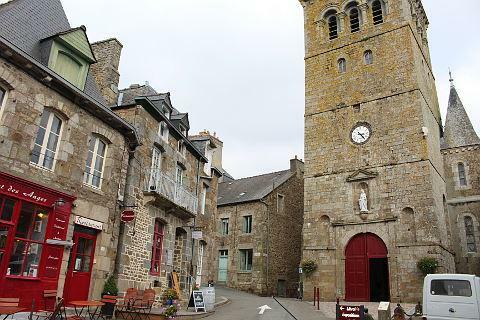 The village is about 35 kilometres north-west of Rennes and Becherel is listed as one of France's "petite cités de caractére", a distinction given to small towns with an interesting architectural heritage. Becherel sits at an altitude of 176 meters and commands a view over the surrounding countryside. It was originally the location of a fort, built in the 12th century of which some vestiges still remain. The fort fell into disuse and disrepair and with it the fortunes of the village. New prosperity arrived in the 16-18th centuries with the production of linen and hemp although this industry suffered with the arrival of cheap cotton. These days the village has reinvented itself as a book market and tourist town. 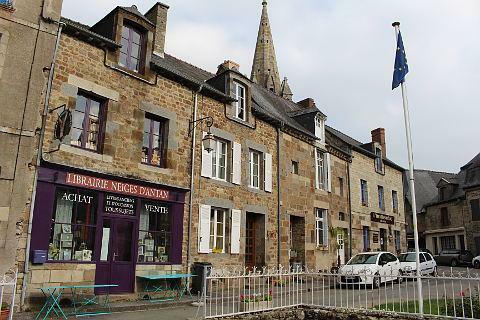 The main square at the centre of Becherel is surrounded by a selection of stone buildings. Slate roofs and painted window frames add to the charm. 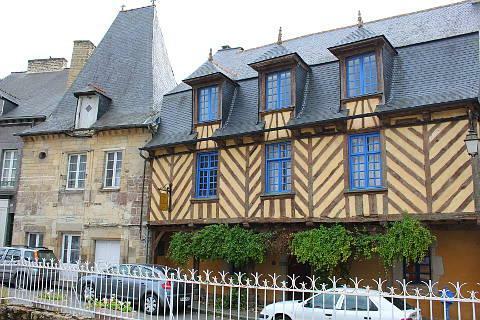 The Logis de la Flanderie is a particularly noteworthy building being the only half-timber building on the square: it has an attractive mansard roof with 3 dormer windows, dates back to the 16th century and has recently been renovated. Behind the main square the 17th century church sits at one end of a small square which also has some remaining ramparts and the ancient dungeon on one side of it. You can walk up here to get some views over the square. At the side of the church be sure to follow the signs to the panoramic viewpoint from where you get some lovely views over the surrounding countryside. Throughout the town there are a number of book shops making the town a book-lovers paradise. On the first Sunday of each month there is also a book market. Add to this events taking place in spring for the National Poetry weekend, the Fête du Livre (book fair) every Easter weekend; the reading festival in October; the 'Treasures of Becherel' festival in December and the European festival of Ancient Greek and Latin in March and you can see why Becherel has become the number one town of books in France. 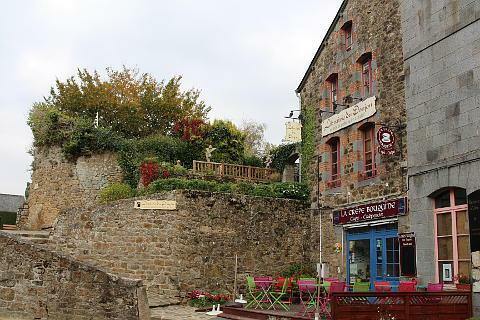 As well as the book shops there is a good selection of art galleries, cafés and restaurants to add to the pleasure of your visit to Bécherel. 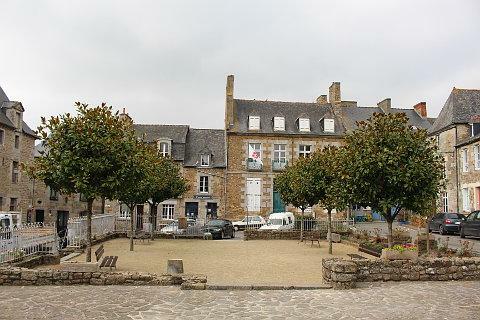 The lovely medieval town of Dinan is just 22 km to the north-west of Becherel whilst the attractive town of Combourg is a similar distance to the north-east. Rennes to the south is of course a beautiful and historic city and well worth a visit.